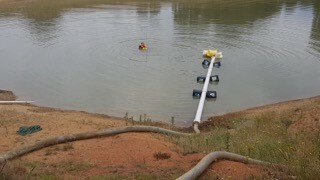 The foot valve at the end of our pump wasn't functioning properly. Nothing Wally, Bill, Robin and Greg couldn't fix. 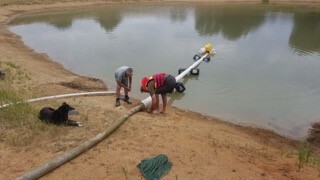 Some new pipe, recycled drums, some clever knot tying and one good swimmer, hey presto, all going again. Above and beyond, again, from some of our great volunteers. Thank you gentlemen, so much.